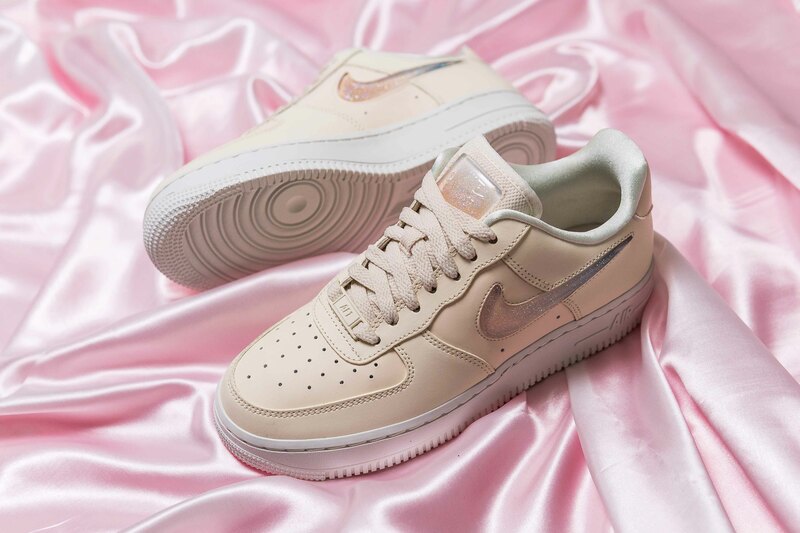 If you needed another reason to add another Nike Air Force 1 to your rotation, or if this might be your first purchase of the streetwear classic, here it is. 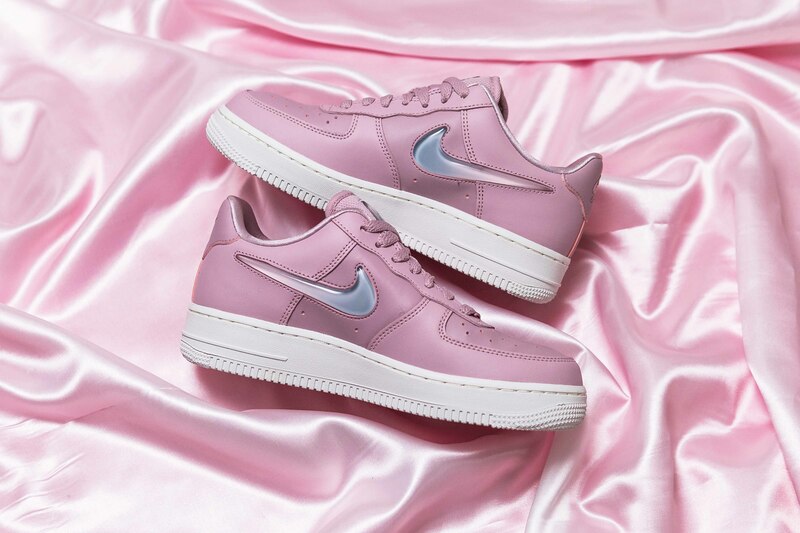 A series of three Jelly AF-1’s have just landed on Nike and we can’t get enough. The first colourway comes in a Plum Chalk/Summit White/Pale Pink/Celery. Showing off a perfectly pink upper with a clean white midsole and a raised jelly gradient Swoosh on the sidewall. Complementary blue and pink tones fill the jelly Swoosh starting with blue at the front and fading out to pink at the back. 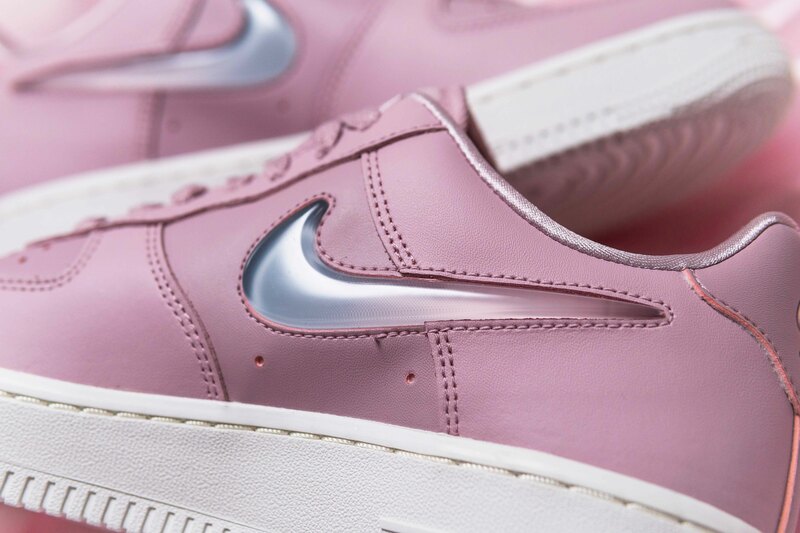 This jelly branding continues on the tongue with Nike Air branding in metal on the heel. 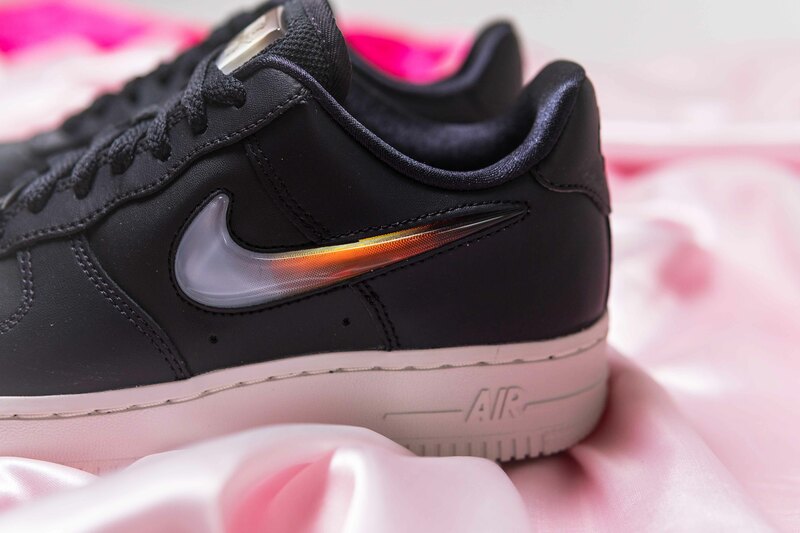 The Oil Grey/Obsidian Mist/Summit White colourway arrives as a darker rendition, with black leather dressing the upper and an orange/blue gradient taking over the Nike branding. Blue tones can be seen towards the front of the Swoosh and the bottom of the tongue’s tab, gradually transforming into an orange tone towards the back. The colourway is reminiscent of an old school digital look, with a pixelated style from up close. 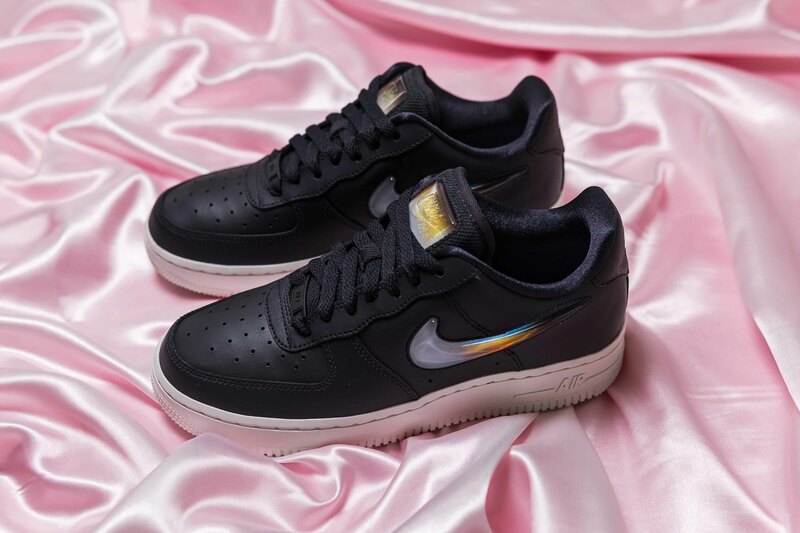 A satin type material can be found on the inside of the sneaker, giving you that signature Air Force 1 comfort, along with the hidden Air unit within the midsole. Finally, the Pale Ivory/Guava Ice/Summit White colourway comes in a feminine, delicate aesthetic. A cream hue takes over the upper, in a tonal colourway, with a pale jelly feature taking over the tongue and sidewalls. This jelly detail comes in a different style to the two before, with both light gradients and also glitter. 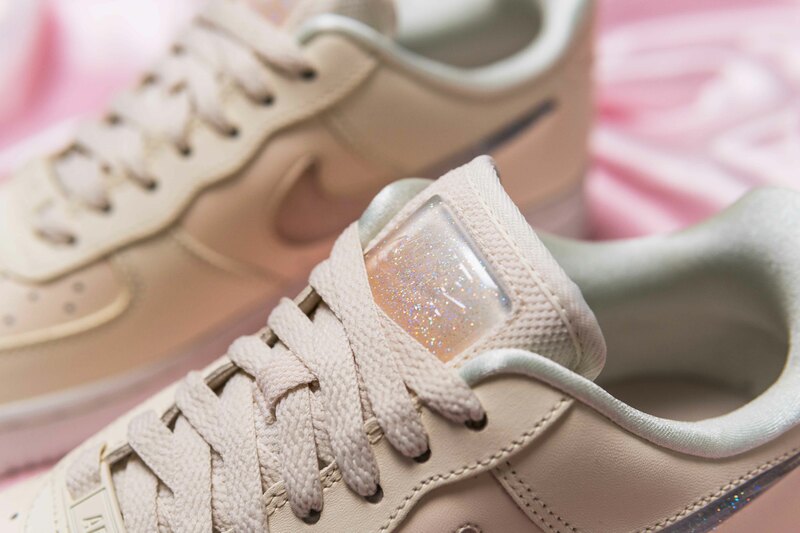 Adding an even further touch of glam to this sweet sneaker, get ready for these kicks to catch the light and sparkle away. Again, a satin styled inner will be providing you with comfort and adding an extra sheen to the pretty silhouette. 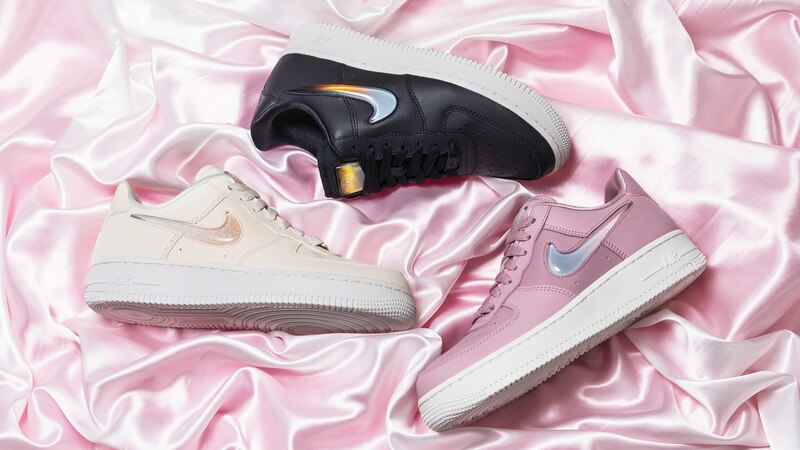 All three colourways of the Nike Air Force 1 Jelly are available to buy now. Head to the links on this page to shop each colourway today!